The BedStep is located under the rear bumper for a perfect step. Protect your knees and back with the AMP BedStep. When you don't need the step, simply kick it under the bumper and the BedStep is hardly visible. The AMP BedStep is built strong enough to withstand 300 lbs of weight. It mounts to the frame under the rear bumper for a solid install. 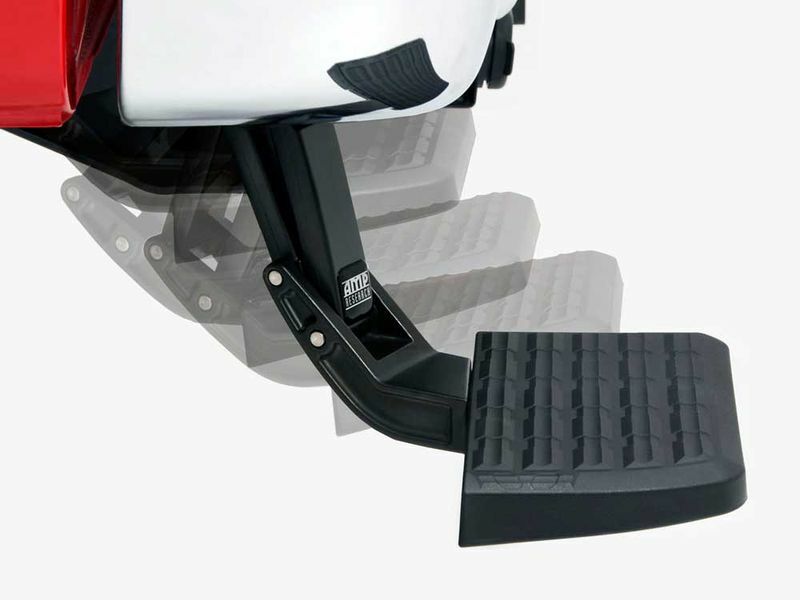 The Amp Bedstep Features a non-slip, Glass-Reinforced Composite Step Pad Big Enough for Large Boots. Check out the AMP Research BedStep. This step bolts to your rear bumper on the drivers side, and offers a safe and convenient way to get into the bed of your truck. The no-slip step gives plenty of grip to make sure you are secure getting in and out of your truck bed. This step retracts under the bumper when not in use, and is made of Die cast aluminum so it can support up to 300 pounds. The best part is that the step can be extended and retracted without using your hands: just press on the step with your foot and the step easily becomes accessible. The Amp Research BedStep is made in the USA and has a 3 year warranty. Purchase a BedStep today and see for yourself that this product pays for itself with how convenient it is and how much time and effort you'll be saving.